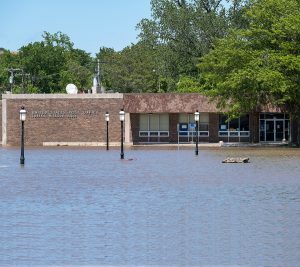 Several Post Offices in Illinois and Missouri have suspended operations due to heavy rains and bloated rivers that flooded homes, businesses and streets. 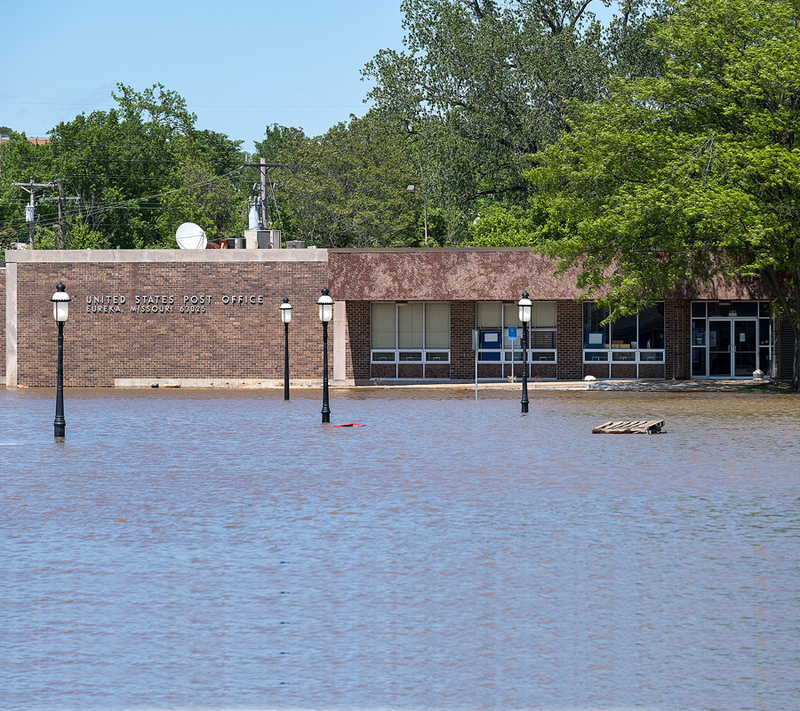 When Eureka, MO, Post Office employees arrived at work May 2, the parking lot was underwater. “The Post Office looks as though it is sitting on its own island,” Acting Postmaster Sue Wandersee said. Operations have moved to the nearby Washington, MO, Post Office. Severe storms also damaged facilities in Oklahoma, Kansas and Arkansas. At the Kinta, OK, Post Office, water rose above retail counters. “The Oklahoma team worked efficiently and quickly to recover postal assets and shift operations to avoid disruption of mail service to our customers,” said Kim Kerns, Oklahoma District’s Post Office operations manager. Alternate Post Offices have been established to continue delivery. USPS is updating its Service Alerts page as facilities reopen. Employees affected by storms or flooding can receive help from a variety of sources, including the Postal Employees Relief Fund and Employee Assistance Program.